Square InformatiX Ltd offer a simpler, smarter and more cost-effective complete network solutions, from requirements analysis to system design and implementation. 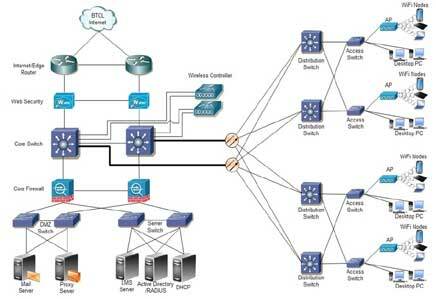 The services also include security implementation, infrastructure development and integration of LAN to WAN. SIL can employ a range of flexible, scalable and proven solutions delivered to agreed service levels as per customer needs and budgets. This helps you to control cost, risk and complexity. A group of highly experienced certified team of engineers and operational experts analyze the user requirements and design a best suitable solution for the clients. SIL can deliver a platform to optimize ICT strategy and exploit new technologies according to clients need. We can design LAN (Local Area Network) if it is for a single location or WAN (Wide Area Network) if clients want to communicate from multiple locations. We can set up either wire-based or wireless LAN. We can also integrate WIFI system and provide services of IP phone, IP surveillance, video conferencing and video surveillance with full mobility. We also renovate the existing network of a company and develop their infrastructure. Square Informatix set up Bangladesh’s largest controller based network at Bangladesh Public Administration Training Centre (BPATC) in Savar in 2014. People are able to move around the whole campus without any interruption in their Wifi connectivity. The same network was also installed in other branches of BPATC in Dhaka, Chittagong, Rajshahi and Khulna back in 2015. Square was able to provide requirement analysis, along with network design and implementation. Square It is also in three-year AMC contract with BPATC. 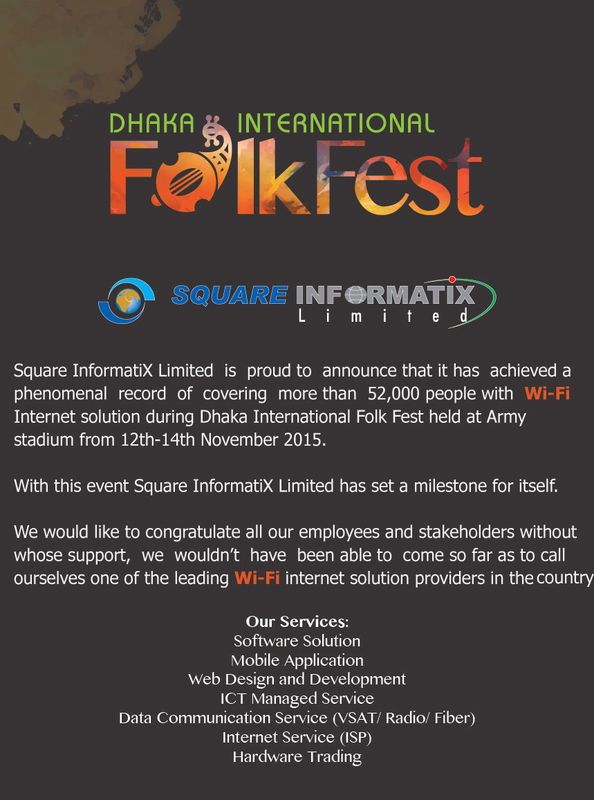 Square InformatiX recently signed an agreement with Bangladesh Government to provide complete network solutions at Jessore Hi-tech Park. 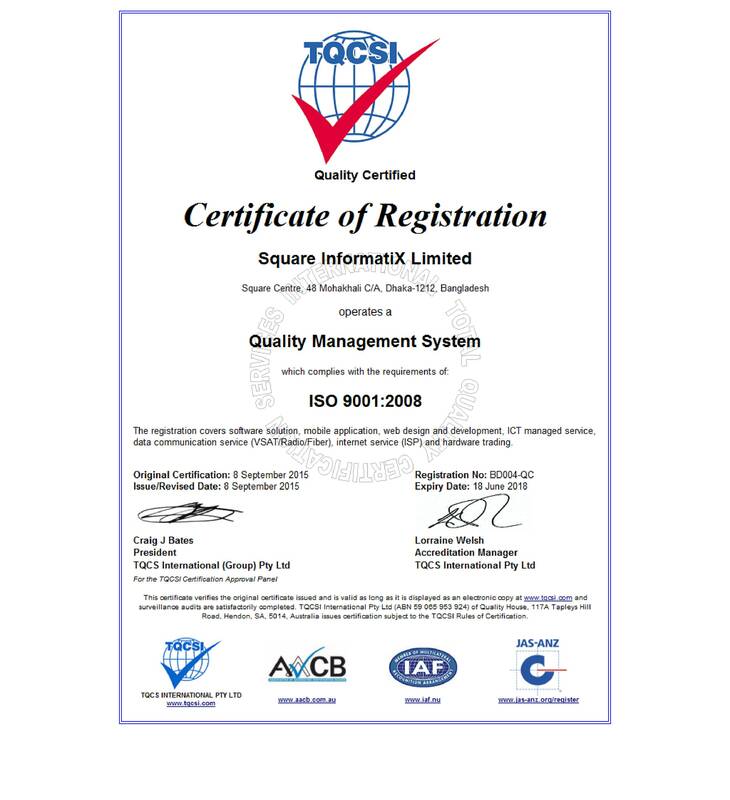 Square is responsible to analyse, design, implement and integrate the full network system there. The project is scheduled to be completed in June 2016.